Professor Martha S. Jones is the Society of Black Alumni Presidential Professor and Professor of History at The Johns Hopkins University. She is a legal and cultural historian whose work examines how black Americans have shaped the story of American democracy. Professor Jones holds a Ph.D. in history from Columbia University and a J.D. from the CUNY School of Law. Prior to the start of her academic career, she was a public interest litigator in New York City, recognized for her work a Charles H. Revson Fellow on the Future of the City of New York at Columbia University. Professor Jones is the author of Birthright Citizens: A History of Race and Rights in Antebellum America (Cambridge University Press in 2018) and All Bound Up Together: The Woman Question in African American Public Culture 1830-1900 (University of North Carolina Press, 2007) and a coeditor of Toward an Intellectual History of Black Women (University of North Carolina Press, 2015, together with many important articles and essay. She is currently completing Vanguard: A History of African American Women’s Politics (Basic) – to be published in 2020 in conjunction with the 19th Amendment’s centennial – and is at work on a biography of US Supreme Court Chief Justice Roger Brooke Taney. 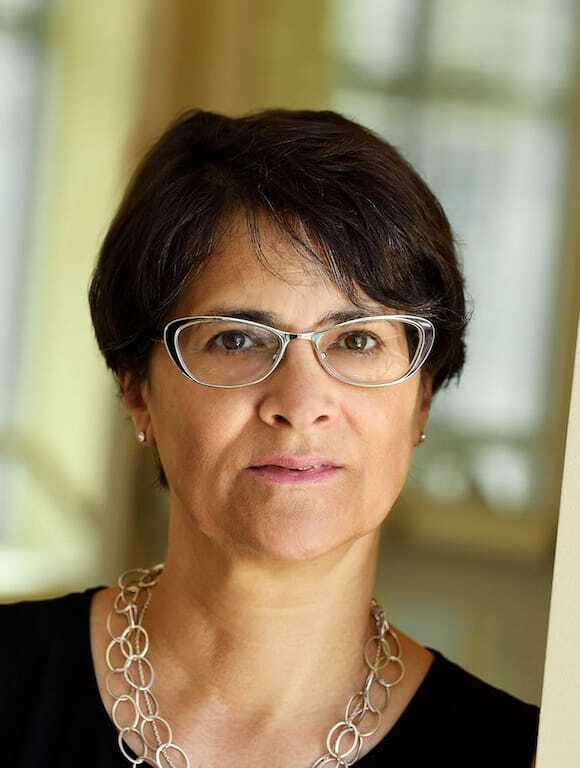 Professor Jones currently serves as a President of the Berkshire Conference of Women Historians, and on the Organization of American Historians Executive Board. “Birthright Citizenship and Reconstruction’s Unfinished Revolution,” Journal of the Civil War Era, in Forum: The Future of Reconstruction Studies, Journal of the Civil War Era 7, no. 1 (March 2017): 10. “First the Streets, Then the Archives,” American Journal of Legal History 56, no. 1 (March 2016): 92-96. “Marin et citoyen : être noir et libre à bord des navires états-uniens avant la Guerre civile.” Le movement social, 3 (2015): 93-112. “History and Commemoration: The Emancipation Proclamation at 150.” Journal of the Civil War Era, 3, no. 4 (December 2013): 452-457. “Emancipation’s Encounters: Seeing the Proclamation Through Soldiers’ Sketchbooks.” Journal of the Civil War Era, 3, no. 4 (December 2013): 533 548. “Hughes v. Jackson: Race and Rights Beyond Dred Scott.” 91, no. 5 North Carolina Law Review (June 2013): 1757-1783. “The Case of Jean Baptiste, un Créole de Saint-Domingue: Narrating Slavery, Freedom, and the Haitian Revolution in Baltimore City.” Chapter 5 in The American South and the Atlantic World eds. Brian Ward, Martin Bone, and William A. Link (Gainesville: University Press of Florida, 2013): 104-128. “Time, Space, and Jurisdiction in Atlantic World Slavery: The Volunbrun Household in Gradual Emancipation New York.” Law and History Review 29, no 4 (November 2011): 1031-1060. “Make us a Power”: African-American Methodists Debate the Rights of Women, 1870-1900.” Women and Religion in the African Diaspora, eds. R. Marie Griffith and Barbara D. Savage. (Baltimore, MD: Johns Hopkins University Press, 2006). “Perspectives on Teaching Women’s History: Views from the Classroom, the Library, and the Internet,” Journal of Women’s History 16, no. 2 (Fall 2004): 143-176. “Before Frederick Douglass: William Watkins Speaks for Black Americans on Independence Day. July4, 1831.” Medium. July 4, 2017. “Are There New Lives for Old Objects at the National Museum of African American History and Culture?” Muster: The Blog of the Journal of the Civil War Era. October 11, 2016. “Thurgood Marshall and His Hometown Courthouse.” We’re History. July 11, 2016. “We Are the Intellectuals.” Roundtable: Toward an Intellectual History of Black Women.” African-American Intellectual History Society Blog. June 5, 2015. “On The Cherokee Rose, Historical Fiction, and Silences in the Archives.” Process: The Blog of the Organization of American Historians. May 26, 2015. “A Bellwether: Phil Lapsansky at the Library Company of Philadelphia.” Phil Lapsansky: Appreciations (Philadelphia, PA: Library Company of Philadelphia, 2012): 84-88. “Edward Clay’s Life in Philadelphia.” An Americana Sampler: Essays on Selections from the William L. Clements Library, eds. Brian Leigh Dunnigan and J. Kevin Graffagnino (Ann Arbor, MI: The William L. Clements Library, 2011). “Mining Our Collective Memory: Beyond the Academic-Activist Divide in Black Studies,” Souls: A Critical Journal of Black Politics, Culture, and Society. 6, no. 3/4 (October 2004): 71-76. Toward an Intellectual History of Black Women, with Mia Bay, Farah J. Griffin, and Barbara Savage (University of North Carlina Press, 2015). “All Bound Up Together”: The Woman Question in African-American Public Culture, 1830-1900 (University of North Carolina Press, 2007). “What Mark Lilla Gets Wrong About Students.” The Chronicle Review. August 2017. “The 14th Amendment Solved One Citizenship Crisis, but it Created a New One.” Washington Post. July 2017. “At the University of Michigan, Confronting Controversy to Move Forward.” Detroit Free Press. April 2017. “The Future University Community is Now.” Michigan Daily. February 2017. “Ava DuVernay’s 13th: It’s About Hope, Not History.” Medium. October 2016. “Don’t Miss Out on What Michelle Obama Actually Said in 2008.” University of North Carolina Press Blog. July 2016. “Clinton’s Historical Gaffe Has a History. Just Check Her Record.” History News Network. February 2016. “Choice of Photo Does Disservice to Students’ Achievements, Reputations.” Boston Globe. December 2015. “The Diversity Summit, Student Protest, and Asking the Hard Questions.” With Amanda Alexander, Matthew Countryman, and Austin McCoy. Michigan Daily. November 2015. “Julian Bond’s Great-Grandmother a Slave Mistress?” How the New York Times Got it Wrong.” History News Network. August 2015. “The Dreams Deferred in Baltimore’s Mortgage Crises Set the Stage for Unrest.” The Conversation. May 2015. “Rallying Around Lynch Nomination: Black Women Flex Their Political Muscles.” Huffington Post. April 2015. “Why We Still Need Black History Month, Even Though #28daysarenotenough.” CNN Living. February 2015. “Impolite Conversations: Skin-Color.” With John L. Jackson, Jr. Impolite Conversations: The Web Series. December 2014. “From Michael Stewart to Michael Brown: A Reflection on #FergusonOctober.” Huffington Post. November 2014. “In 1864 Maryland, Confusion Over Emancipation Made Slaves Interpreters of Law.” Huffington Post. August 2014. “Supreme Court Ruling Upholds America’s Mixed View.” CNN. April 2014. “When it Comes to Diversity, Who Counts?” Huffington Post. March 2014. “What’s in a Name? ‘Mixed,’ ‘Biracial,’ ‘Black. '” CNN. February 2014. “Biracial, and also Black.” CNN. February 2014. “Understanding Race.” Huffington Post. February 2013. “Turning Back the Time of Racism.” Huffington Post. February 2013.